Originally from the United Kingdom, I have been residing in the U.S. for most of my adult life and currently make California's rugged central coast my home. As a nature photographer, I could not ask for a more beautiful location, with its spectacular scenery and abundance of birds and wildlife! A certified California naturalist, I have a deep appreciation for the planet, and love to be involved in environmentally conscious causes and activities. This is an integral part of what drives me to get out there and share the wonders of the natural world. I enjoy experiencing all the best the world has to offer: traveling, meeting new people, learning, teaching and sharing experiences. 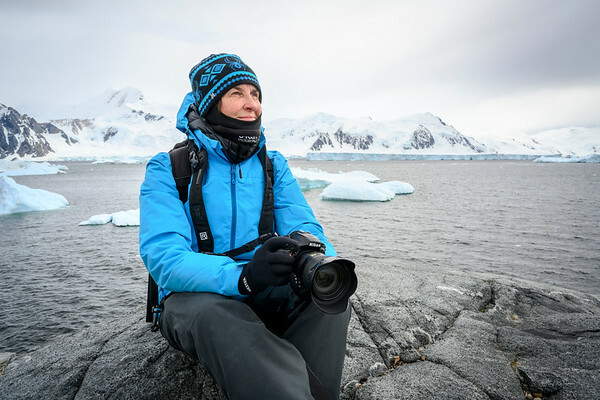 A resident photographer with G Adventures, a tour operator based in Toronto, Canada, I provide lectures and guidance to guests embarking on exciting Arctic and Antarctic expeditions! I am also a guest host on select photography theme cruises with UnCruise Adventures based in Seattle WA. This past year I hosted cruises in Alaska and Costa Rica, with Mexico's breathtaking Sea of Cortez planned for January, 2020. In 2019, I will be offering workshops along the central California coast and around Monterey. As a local, I will be able to guide photographers to prime locations often overlooked by visitors. I am currently available for teaching and speaking engagements, in addition to contract projects and assignments globally. Clients have included Sunset Development Company, Filoli Estate, Save our Shores, The Marine Mammal Center and The Snow Leopard Conservancy.